I had a great time getting to know Tracy and Ra during our walk around the Boston Commons and Beacon Hill. We even had the opportunity to go up on a random passerby's roof deck around sunset. Here are a few pre-wedding images from our shoot along with a few word from the couple about their big day! He noticed me from afar during my best friend and his brother's wedding. Now we are all about to be family. The rest is history. A. We are absolutely most excited about seeing all of our guests! We have close friends and family coming from all over the country and cannot wait to have everyone under one roof! 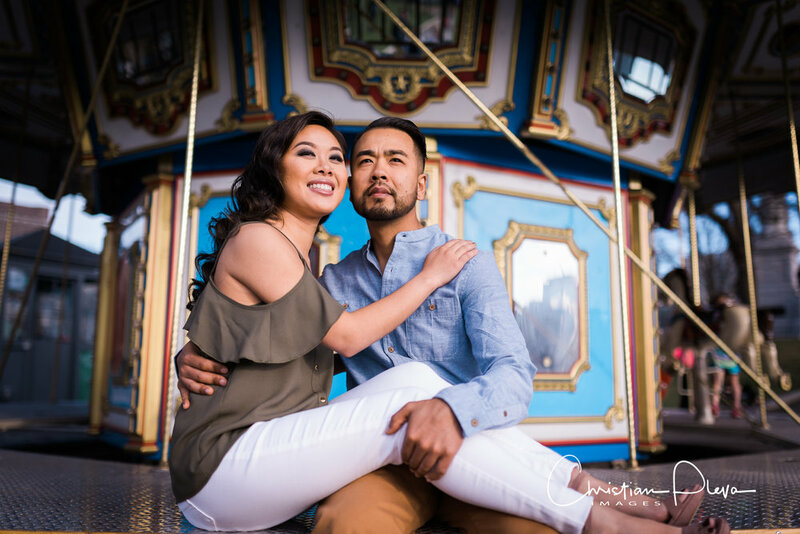 What look were you going for in your engagement session? Casual and chic. Laugh with each other, enjoy the moments and just be entertained by the experience! It'll feel like you're in a movie, but absolutely use that opportunity to channel your personal quirks and humor, silliness and live in those moments with each other. Christian makes the experience easy-going and fun! Q. How was your overall session experience? We loved the flexibility that came with just getting to know Christian's style of shooting and really incorporating our own care-free spirit into the shoot. We weren't very particular about specific style or location as long as it captured the essence of Boston. We ended up freelancing our way from the commons, to the garden and making our way up to the height of beacon hill where Christian was able to capture the amazing skyline. His ability to artistically use our surroundings to make our experience unique to our own style was truly a fun and great experience. Christian is truly a mastermind at what he does!